Everything you wanted to know about your software but were afraid to ask. 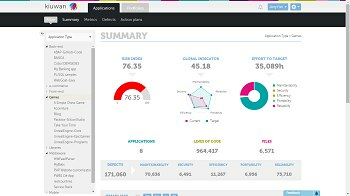 Get to know the Security and Quality of your applications. Manage technical debt and the different risks you are facing with your applications. Make better decisions with Kiuwan Enterprise Software Analytics. Okay, you have registered and activated your account, now what?